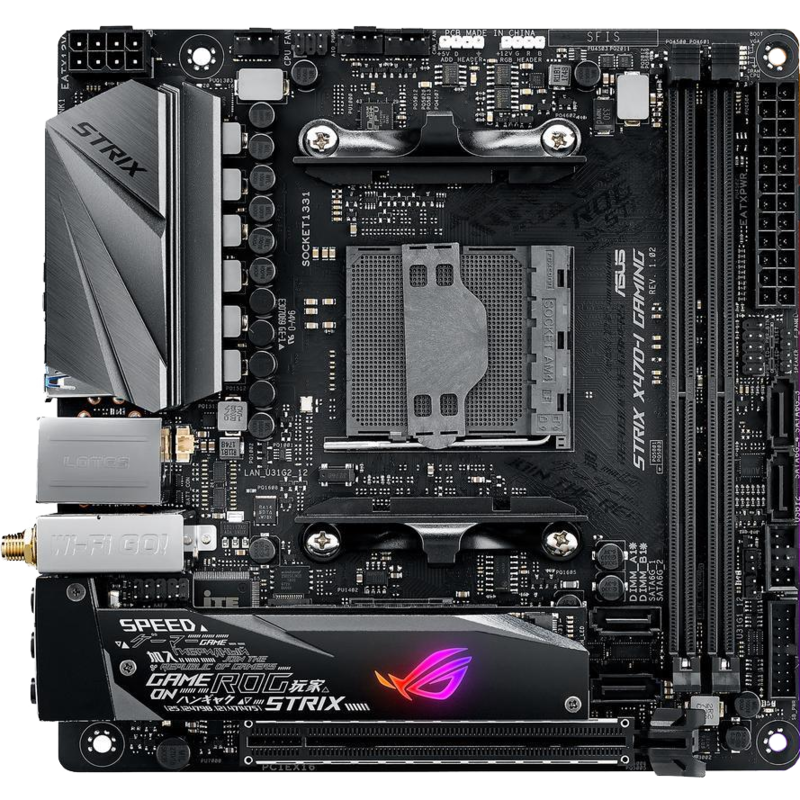 Are you looking for the best Mini ITX X470 Motherboard for a Ryzen processor? Our guide breaks down the best choices. Many PC system builders are moving away from bigger systems to more compact hardware. People are choosing to see how powerful of a system they can build in a smaller case. This is leading to more compact hardware options. B450 or X470 Mini ITX? So let’s get to the point. There are very few Mini ITX X470 motherboards. In fact, there is only one. However, unless you want to run SLI/Crossfire you lose nothing by sticking to B350. If you need to run SLI, strangely enough, there are some great ITX options to choose from. Why motherboard manufacturers decided to skip over ITX for the x470 chipset is beyond me. If you need a list of ITX options, see here. If you are hell-bent on using Mini ITX X470 with Ryzen, another option is to move up to X399 and thread ripper. ASRock has a fantastic high-end X399 option, but it’s not cheap, unlike our Best gaming mousepads. As AMD has promised, the Ryzen 2000-series CPUs will fit into the exact same AM4 CPU socket in the 1000 series Ryzen processors. Though there will be a new set of 400-series chipsets. What this means is if you pick up a X470 or B350 today, you’ll be set to drop the new Ryzen processors without issue. So what is the difference between X370, B350, X470, B450? Pugetsystems made a nice chart outlining the differences and think it’s worth highlighting. 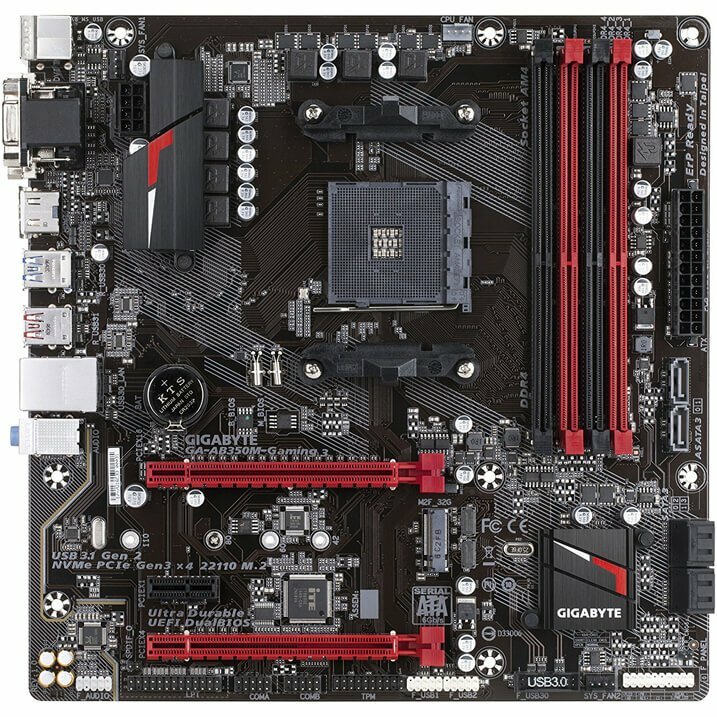 Mini ITX Motherboards and Why to Downsize? While the focus has been on full ATX motherboards, we thought it prudent to give an overview of the smaller form factor Mobos for those of us who love smaller form factor cases. We lose out on a few features like additional USB ports, possibly fewer memory slots, fewer PCI slots, and a few SATA ports. But, for a lot of us, we don’t really use them all anyway. Whichever the reason may be, you’re here for details on which Mini ITX motherboard is the best for you. So let’s break down some of the best Mini ITX X470 motherboards out on the market. Due to the limited number of AM4 Mini ITX motherboards, we will be limiting our list to the top 3. 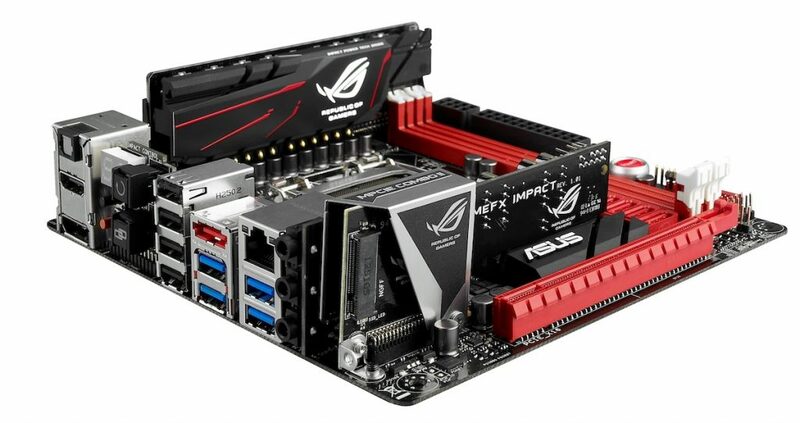 I thought that maybe ASUS had finally gone and abandoned the idea that the ASUS TUF motherboards being superior compared to the other options, I was wrong. The TUF B350M Mini ITX board has a fairly nice heatsink over the vrm’s and has a quiet 80mm fan to boot. Moreover, the integrated network controller is great! The board is quite heavy for its size but is made with high-end components so it makes sense. With many features like “Fan Xpert 2+” and high-end PCIe retention shields, this earns its title as the best Mini ITX x470 Ryzen motherboard. ASUS brings a lot of functionality with the TUF lineup and the price is honestly reasonable. Now, You don’t see the $400+ price tags like you would on their high-end Mini ITX motherboards. But, you still get every feature you should need especially for such a reasonable price point. This motherboard is attractive, sturdy, and has a wide array of features for those who like overclocking. The AB350M-Gaming 3 Mini ITX Form Factor is measured at 24.4cm x 24.4cm. This board only supports x1 Nvidia GPU but can handle AMD Radeon Crossfire setups just fine. It comes with USB 3.1 Gen 2 and M.2 NVMe support, this motherboard is able to be the centerpiece of a small form factor workstation and not break the bank doing it. This AM4 Mini ITX X470 motherboard layout is straightforward with a clean bus. With red lines at the top left of the motherboard are Red LEDs. In between the Red, PCIe slots is an M.2 connector. Overall, the Gigabyte AB350M-Gaming 3 to be an excellent platform in the mid range lineup of motherboards. If you want plenty of Ryzen cores in a more compact, lower cost platform, this is a good choice. We expect this to be a popular motherboard with AMD Ryzen 5 and Ryzen 3 series chips where overall system costs are lower. It should be noted if you plan to run a Ryzen 2000-series CPU with this board you will need to update your bios before doing so. 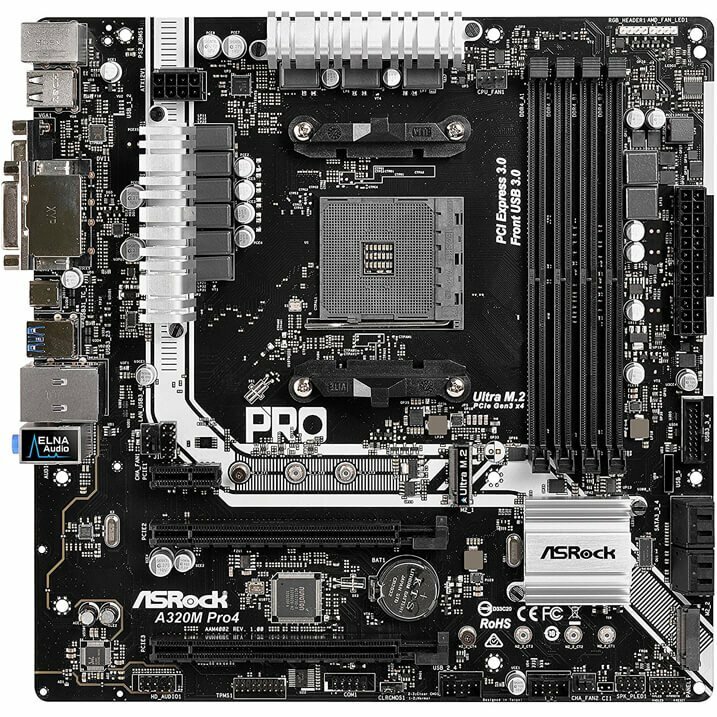 The budget friendly ASRock A320M PRO4 X470 Mini ITX motherboard can pack quite a bit into a small budget. There isn’t currently much more you can ask for in such a small price. For example, this motherboard comes with dual m.2 ssd’s. One PCIe Gen3 x4 Ultra M.2 interface that pushes data transfer speeds up to 32Gb/s, and is compatible with ASRock’s U.2 Kit for installing some of the world’s fastest U.2 PCIe Gen3 x4 SSD. And the other one supports SATA3 6Gb/s M.2 modules. Another great feature of this board is the software package that it comes with. ASRock has a surpisingly useful array of software in the APP Shop. ASRock APP Shop is an all-in-one utility designed for system update and software downloading. It is integrated with a variety of applications and support software. The ASRock APP Shop provides the latest BIOS updates and system upgrade software for users to download. You can easily optimize your system and keep your PC up-to-date with it. Also, APP shop is geared up with numerous popular PC games. You can also receive exclusive bonuses, in-game items. Not too bad. The PRO4 might not be the best Mini ITX X470 motherboard but it gives you the best bang for your buck. However, You cannot argue with the features and build quality provided at this price point. If you’re not looking for extreme overclocking capabilities and don’t necessarily need the software included in any of the ASUS boards then you might want to settle for the PRO4. With the upcoming release of the Ryzen 2000-series CPUs, and the new Nvidia GPUs coming in the summer, now might be a great time to pick up a new X470 Mini ITX motherboard. So, While the next few months the upcoming 400 series mobos might be released, they undoubtedly will come at a steep price. Overall, we look forward to seeing whats next for motherboard manufacturers this year and will update this guide of the best Mini ITX X470 motherboards as we move forward. In the meantime, check out one of our other articles, we recently compiled a list of the Best Micro ATX Z470 Ryzen Motherboards and you might find a gem in there.